Russia’s ALROSA, the leader of the world diamond mining industry, reports at its web site that in mid-January it mined a unique rough diamond weighing nearly 200 carats. The gemstone of 40x31x20 mm size and 191.46 carats weight was extracted at the processing plant №12 of Udachny mining and processing division. The mined diamond is transparent with a slight yellowish tinge. “Such large gem-quality discoveries, weighing well over 100 carats, confirm that there are many unique precious minerals in the reserves of the Udachnaya kimberlite pipe. Since the beginning of its development in 1967, the pipe has produced hundreds of large diamonds to our company. In the near future, this rare specimen will go to the United Selling Organization for the detailed study and evaluation,” Evgeny Agureev, Member of the Management Board, Director of the United Sales Organization at ALROSA, said. 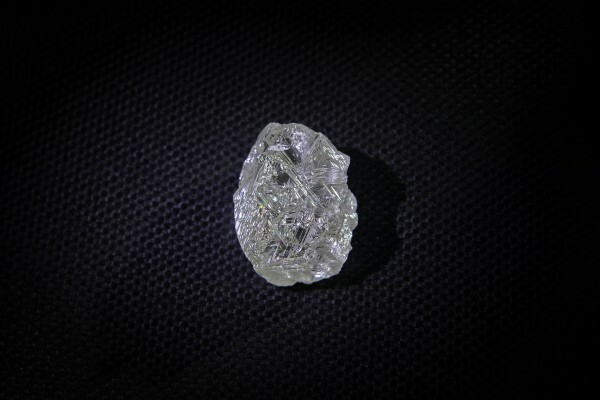 A comparable in size rough diamond was mined at the company’s deposits 2.5 years ago. The Udachnaya pipe was discovered in 1955 and is among the largest primary diamond deposits both in Yakutia and globally.